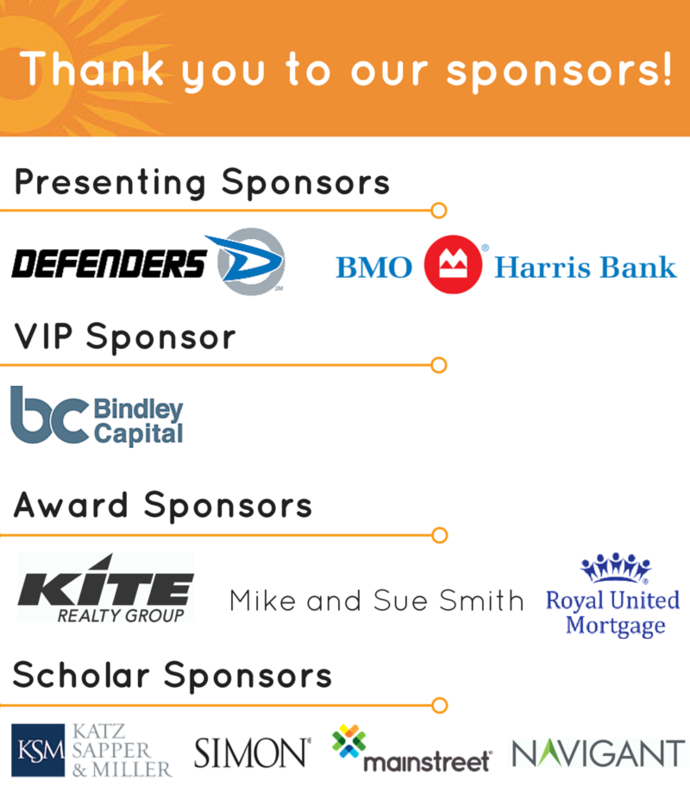 We want to offer a huge thank you to the over 400 people who attended our 2016 Education Celebration, presented by BMO Harris Bank and Defenders, and to all of our sponsors who made celebrating our 15 year anniversary a success! 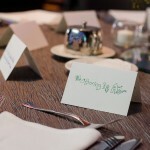 We enjoyed a fantastic and inspiring evening. 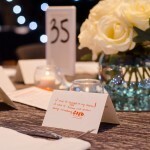 Below is just a glimpse of some of the most memorable parts of the evening, thanks to our friends at M. Rinaye Photography. 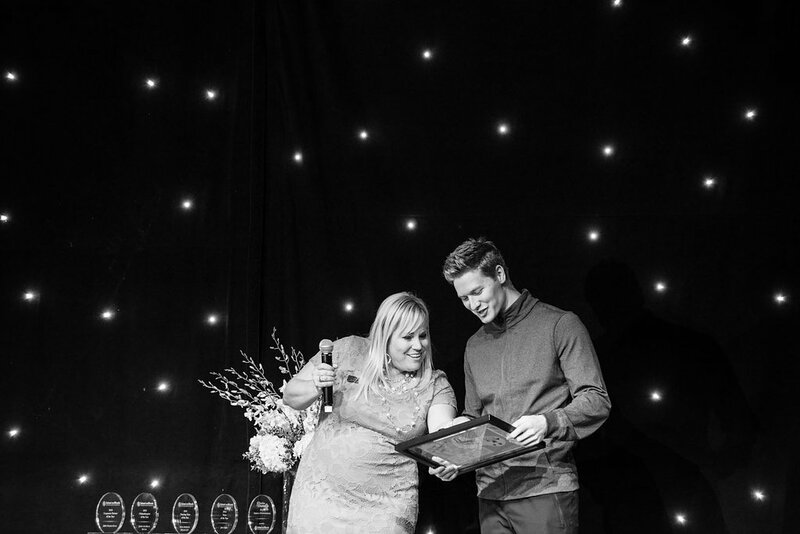 Our special guest for the evening, Verizon IndyCar Series driver Josef Newgarden, shared how important education and mentoring experiences are in the racing profession (and his own life). He also talked about his children’s book that’s coming out later this summer and received a piece of Indy 500-related writing and art from School on Wheel students. We were so thrilled that Josef could join us before his American Ninja Warrior run (and we of course wished him the best of luck)! We were also joined by our amazing emcee, Weekend Sports Anchor Brad Brown from RTV6, and one of our School on Wheels tutors, Lori, who shared about her special relationship with a first grade student in our program, Raymond. 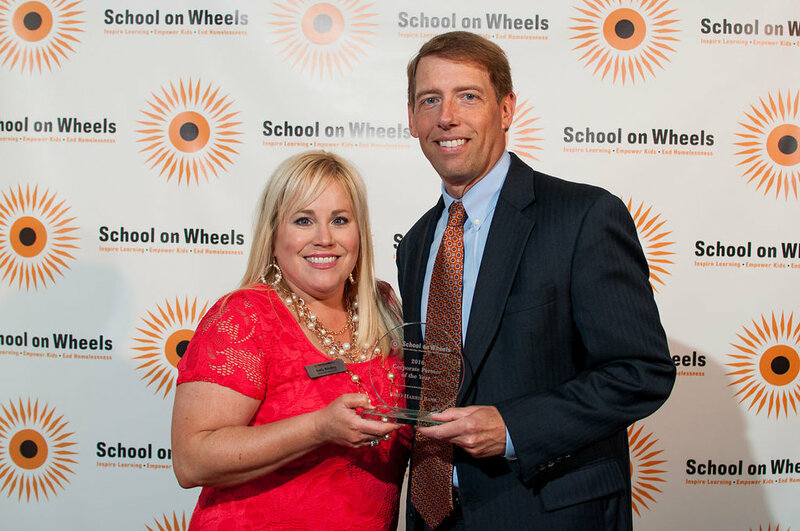 For the past five years, BMO Harris Bank has been a supporter of School on Wheels, providing not only financial support to our organization, but also involving employees in creative volunteer efforts such as creating Winter Break Boredom-Beater kits to keep the children in our programs engaged over breaks. 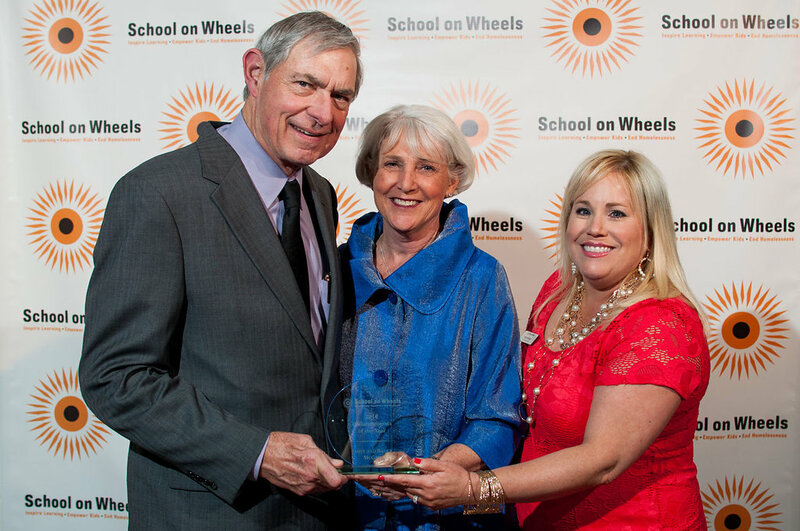 Jamie and Bruce are long-time friends and supporters of School on Wheels, and their gifts of financial and in-kind support for over a decade both personally and through their family foundation have been instrumental in allowing us to enrich and expand our programs. 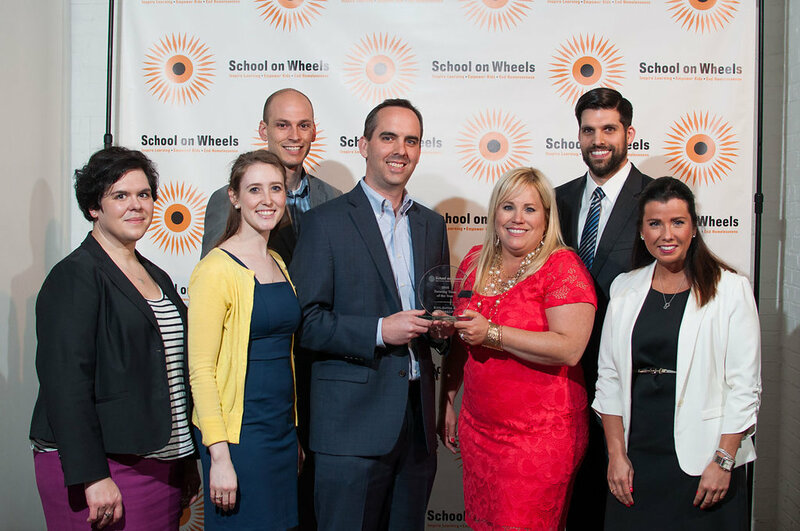 The current Katz, Sapper & Miller tutoring team joined School on Wheels in the spring of 2015 and helped us as we expanded our services to students at Fox Hill Elementary School in Washington Township. This team, which has been with our students for three semesters, is always willing to jump in and help when necessary and their spirit and dedication to our students can be seen and felt each week. 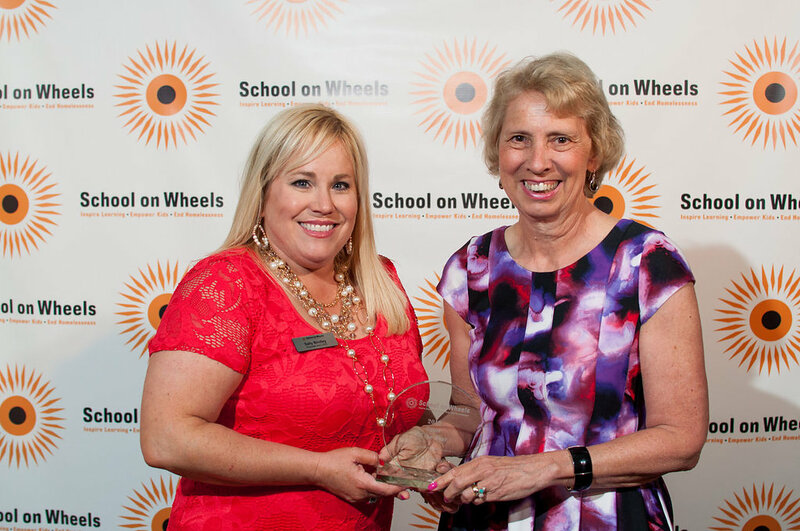 As a former hands-on science teacher, Jean goes above and beyond as a tutor – she has volunteered well over 100 hours since she became involved in School on Wheels in 2009, and has served as a tutor at multiple locations. 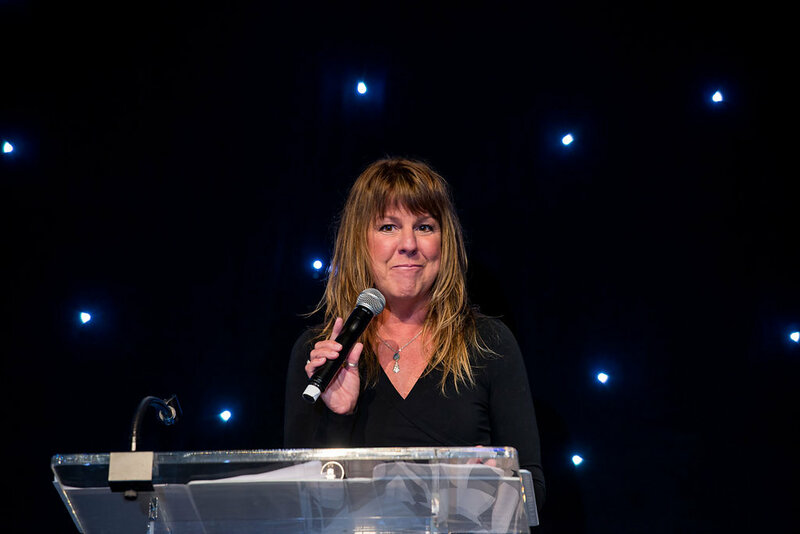 She is also very involved with our Share the Love volunteer fundraising campaign, encouraging family and friends to get involved, and frequently drops off donations that benefit our students. The Education Champion award recognizes an individual who has devoted his or her time, expertise and focus in supporting youth and championing education. Individuals recognized for this award are nominated by community members in Indiana. Rebecca Pfaffenberger teaches seventh and eighth grade students at Rousseau McClellan Montessori School in the Indianapolis Public School system and is in her eighteenth year of teaching. Each year, Rebecca takes her students on outdoor education camping trips, which are some of her favorite teaching experiences. These trips allow her to build strong relationships with her students outside the classroom and she uses the opportunity to help her students build personal characteristics and an appreciation for nature. 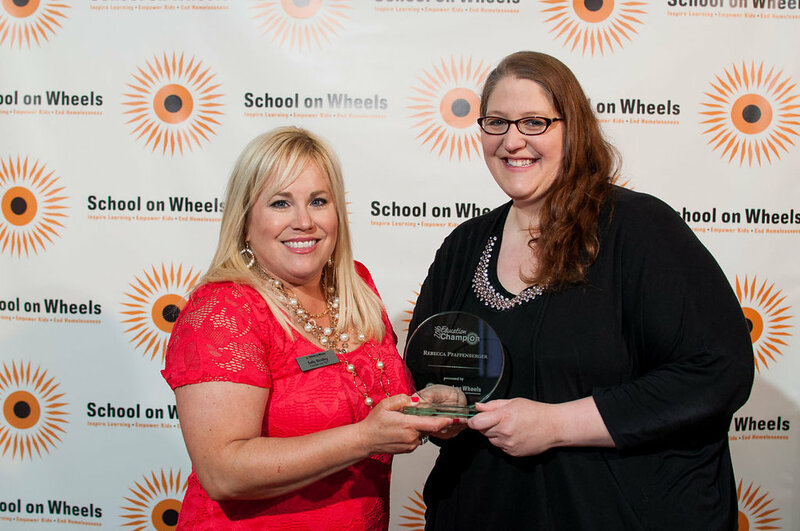 Rebecca received a $1,000 award that she plans to use to continue sending her students to summer camp. This year, we were excited to showcase our students’ artwork yet again. 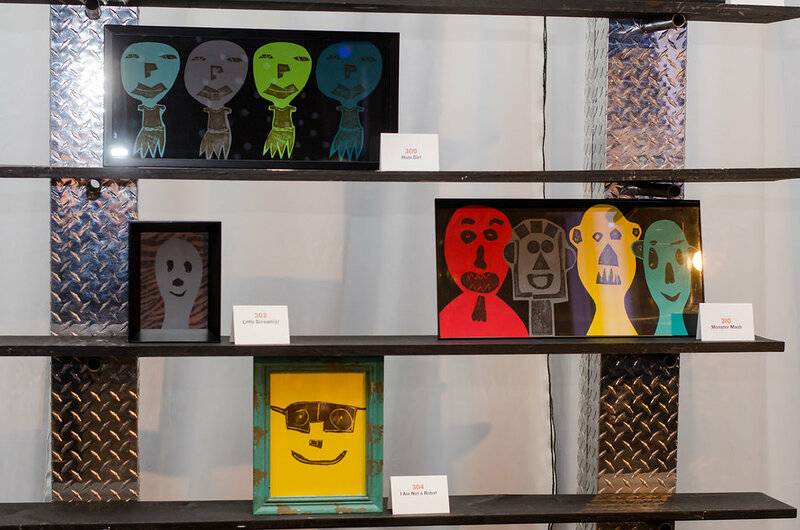 For this Education Celebration, instead of creating a group piece, students were given the opportunity to create a work of art that contained elements representative of who they are. Students used the art of collagraphy, a form of printmaking in which materials are applied to a surface or ‘plate’ and then prints are made from the raised areas. Our students used foam shapes applied to cardboard to create facial features and, in some cases, hats, hair and glasses. The printmaking ‘plates’ were collected after the kids made their own prints and were used to create these beautiful pieces! Thank you, again, to everyone who attended our 15 year event and helped us celebrate education and the accomplishments of our students, donors, corporate partners and community members. 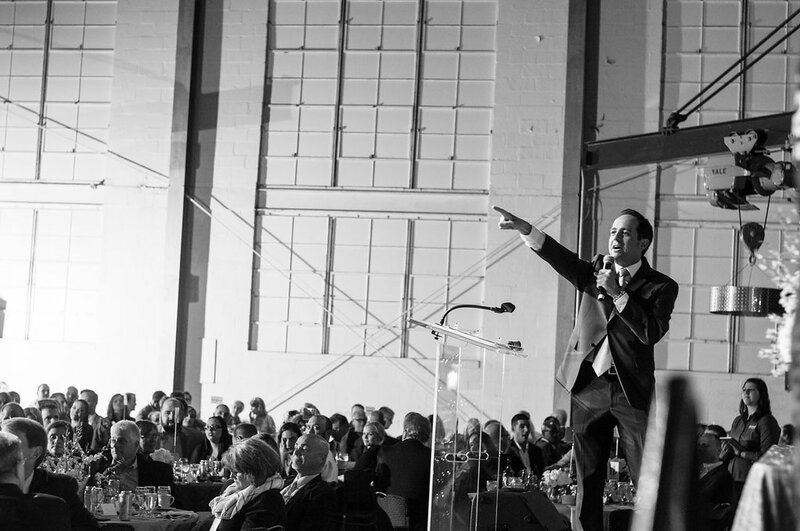 With your generosity, we were able to raise over $290,000 to support our programs, including a generous $50,000 matching grant from The Samerian Foundation for auction items and donations during the event. Every single dollar raised goes to benefit the programs that help transform the lives of the children in our program. 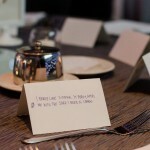 School on Wheels kids truly value the experience these gifts provide them, which these adorable table cards prove! 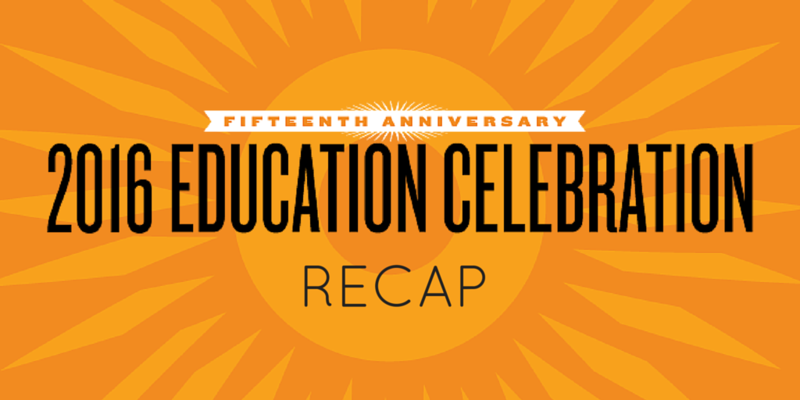 Want more Education Celebration information? Check out our Facebook photo album from the night or our Storify for social media highlights! The Education Celebration may be over, but there are many ways you can get involved! Apply to tutor during the 2016/2017 school year, collect donations of snacks or school uniforms for the kids in our program, or consider making a gift this summer to help us start the 2016/2017 school year strong!